You love and adore your car. It’s your best buddy on road. So why go wrong when choosing an insurance plan? 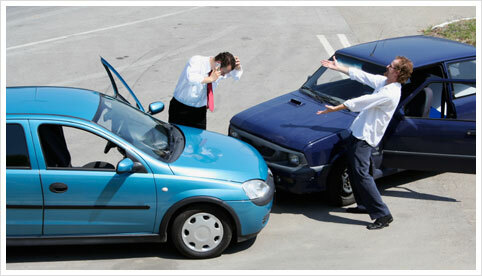 It is crucial to buy a car insurance plan that best suits your requirements and offers adequate protection to the car. In India, as per the Motor Vehicles Act, it is mandatory for every vehicle owner to possess a valid Insurance to be able to drive on road? Yes, you heard it right. Any vehicle used for pleasure, business, household or social purpose needs to be insured. Violation of Motor Vehicles Act is punishable with fine or some specific term in the prison. So what does your car insurance cover? In case, the manufacturer’s price is does not include an electrical and / or electronic item installed inside the car, then the actual value (after depreciation) of the specific item(s) can be added to the sum insured over and above the IDV. What to take into account when buying car insurance? As already discussed, you need to consider the Indian motor vehicle regulations before buying a car insurance plan. Keep the specific requirements in mind before making a purchase. There is a Mandatory ‘Limited Liability’ requirement that you must buy? You can definitely buy higher cover to ensure maximum returns. However keeping the minimum requirement in mind is the best way to abide by the law. Make sure you install an anti theft device to your vehicle. The device should be approved by the ARAI (Automobile Research Association of India). This may help you clear a small discount on premium. There’s no better way of buying car insurance than getting one online. You can gather info about various plans and their cover facilities when buying a plan online. Browsing through this info will help you get acquainted with various benefits, cover facilities, exclusions, claims formalities and much more. Make sure you renew your insurance plans on time. This is extremely important. Policy lapse may keep you from enjoying many benefits. So keep updating yourself about the policy expiration date and renew within the permissible period. Neeta Jha, entrepreneur, blogger and activist the list of accomplishments for this dynamic Indian is exhaustive. A graduate in Commerce from the University of Pune with a degree in commerce, Neeta is an accomplished lawyer with an LLM from ILS Law College in Pune. Embarking on a successful career as a Corporate Lawyer.